It’s only fitting that on the second day of spring we get smacked with eight inches of snow. Heavy wet snow. Tree branch breaking snow. After all, I did just post a few weeks back about our unseasonable warm weather, and look where we are now. Our CSA is also still stuck in winter mode. If I see carrots on the newsletter Friday night, I may finally reach my limit and give them to people on street corners. Ten weeks running. Every color. Some of them downright weird. 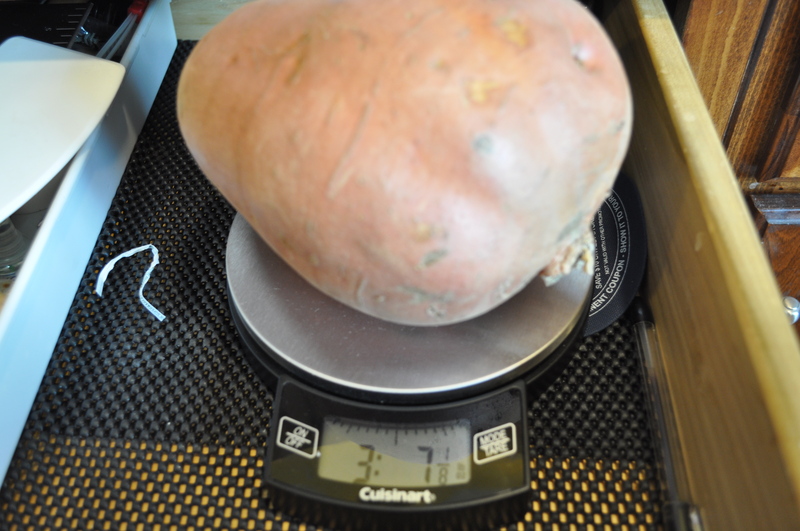 Then there are the vegetables on steroids. 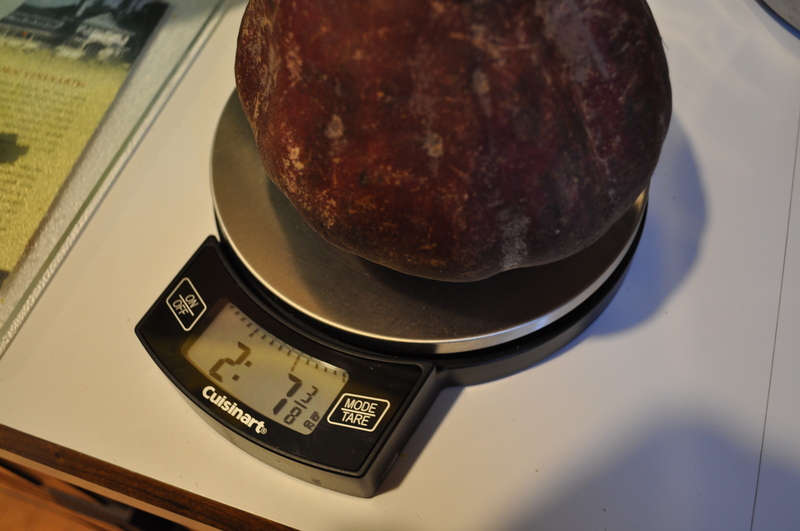 The 2 and 1/2 pound red beet. It was split, roasted and diced for salads. Many, many salads. Followed by the next delivery with this “little” treasure. 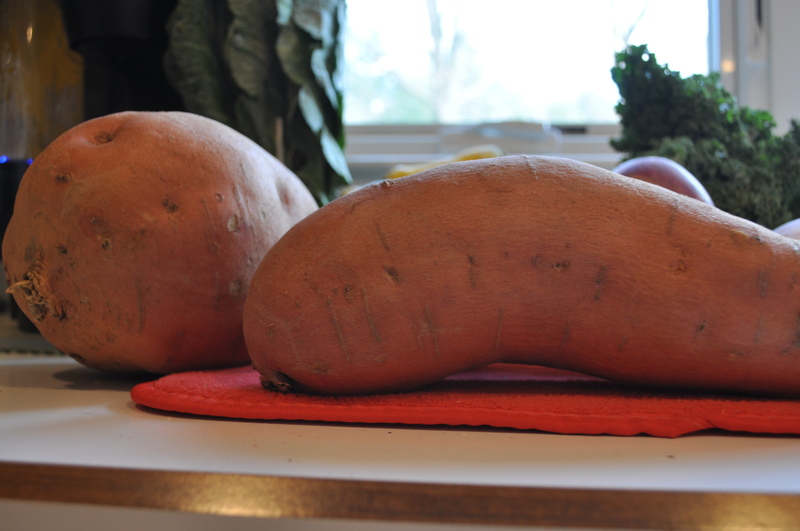 There were two sweet potatoes that week. Total of more than 5 pounds. Far too large to roast. I gave one away, the little one, to a friend and the other, the behemoth, will become an ingredient in another adventure in lasagna. Maybe this weekend. I cannot wait to see real baby greens on the list for my weekly pickup. I am so tired of winter, and want to get my garden going. Bring on the arugula, the pea shoots, the spring mix. Bring on the local farmer’s markets where I can get something light and refreshing. 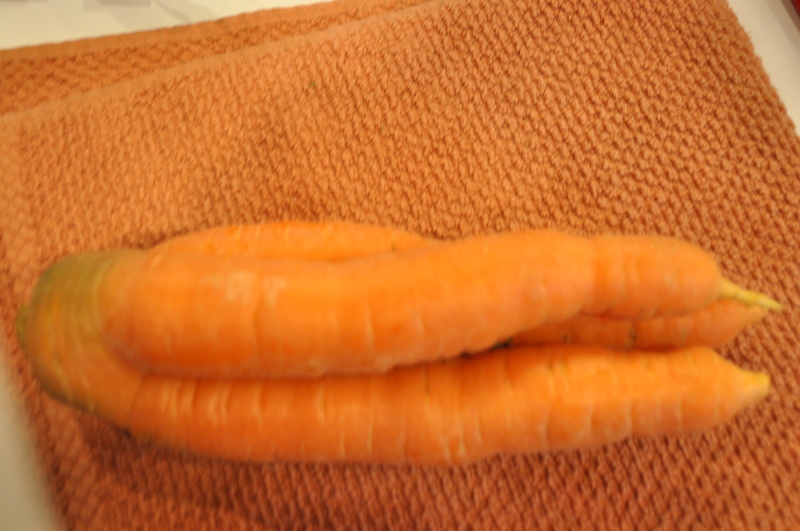 And put away those humongous root vegetables. Posted in CSA, Food, LFFC, Real Food and tagged cooking, CSA, Food, Locavore, real food, weather. Bookmark the permalink. Hi. Came across your blog, these veggies came out of your garden.oh my goodness. I loves your post. We had all that snow in the beginning of the winter season and now it passes us and gets you all. I do assume you live in the east coast. Look forward to following more of your posts. We finally finished the last of the beets from the Fall CSA pickups. I agree about wanting to move on from root veggies! White Asparagus Anyone? Right Out of Your Yard?